Our Product (Pat. Pend.) is a market innovation. 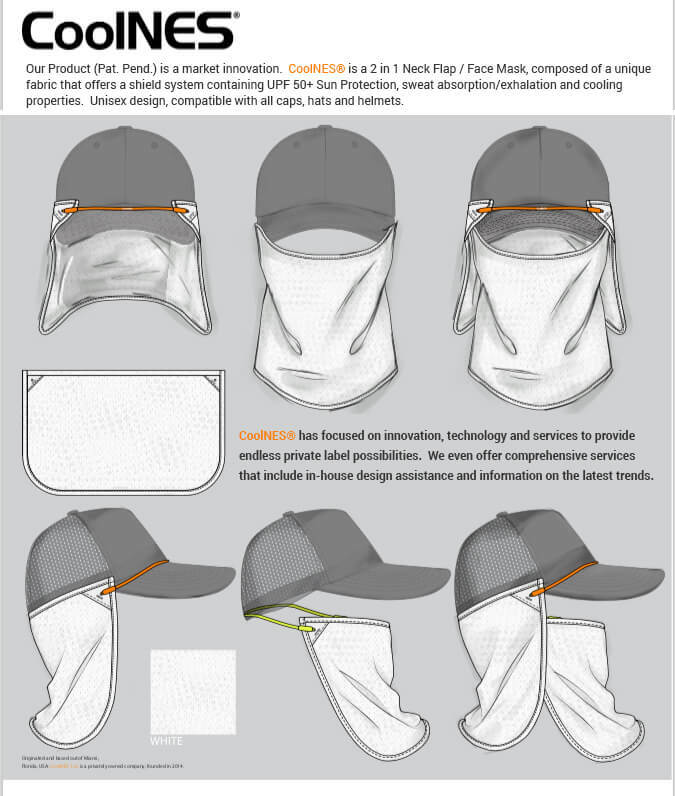 CoolNES® is a 2 in 1 Neck Flap / Face Mask, composed of a unique fabric that offers a shield system containing UPF 50+ Sun Protection, sweat absorption/exhalation and cooling properties. Unisex design, compatible with all caps, hats and helmets. CoolNES® provides independent shops, small brands and companies access to the same custom manufacturing quality and design capabilities, which traditionally have been available only to large brands. 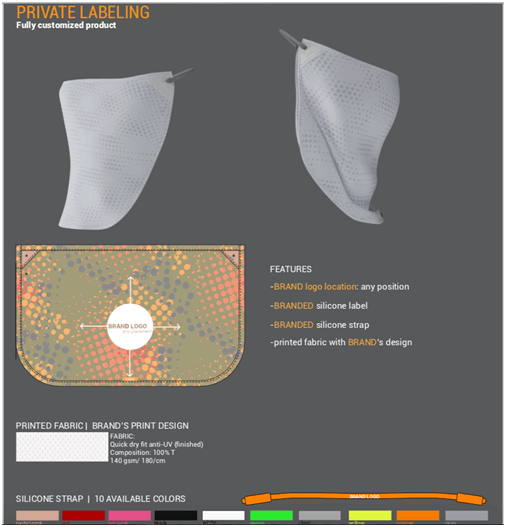 Our business models are built around design flexibility at low minimums. 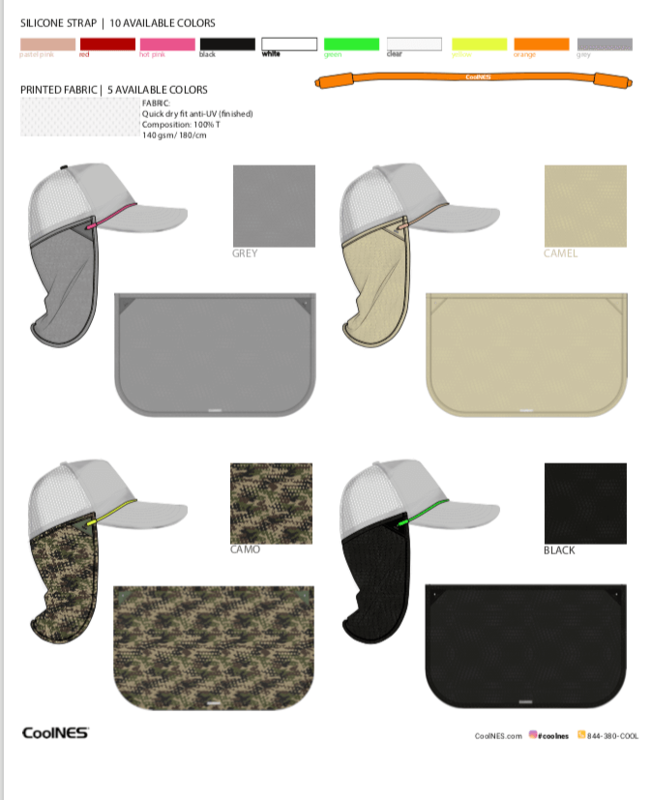 The design customization process allows you to choose popular color combinations and logo positioning to create the perfect headwear to maximize a logo exposure. CoolNES® has focused on innovation, technology and services to provide endless private label possibilities. We even offer comprehensive services that include in-house design assistance and information on the latest trends. 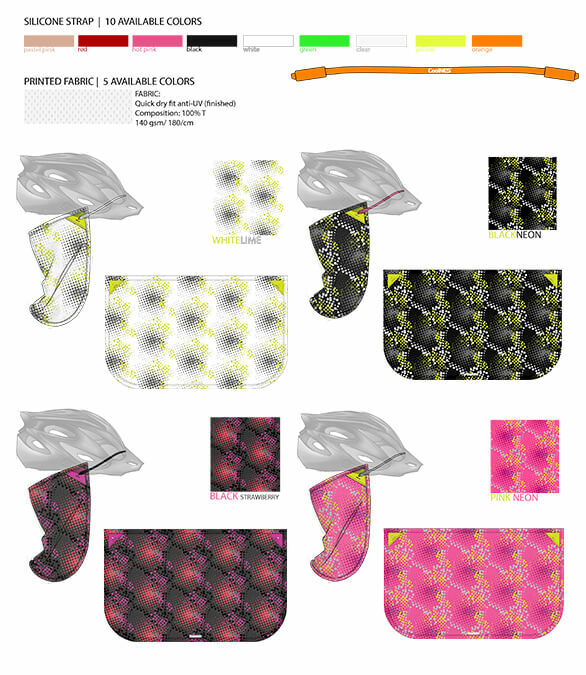 Designed with cyclists in mind but it will work with almost any helmet or protective headgear. The unique 4 season performance fabric is designed to be highly breathable, absorb sweat and with a UPF 50+ sun protection rating.